Lakeway Update: ZAPCO, Stratus Property, Roads and More! ZAPCO, Stratus Property, Roads and More! Good Morning! Another week is in the history books. the weather has changed again (welcome to Texas) and we woke up to 43° weather (now 39°). Cloudy and windy but the promise of better to come. Enjoy the cool, it will be HOT soon! The big news of the week is ZAPCO voted down the City Center Project. Although the developer asked for the project to be tabled so more negotiations could take place, ZAPCO took it to a vote and turned down the project with a 4-2 vote - Don Golf recused himself because he serves on the MUD board. It appears the Main St. cut through is gone along with the extension of Lohmans Spur past the police facility. There will be development on the property I'm sure, most likely residential and commercial. I do not expect the developer to come before council at this time. I did ask the City Manager to make an offer on the Stratus Property a couple of weeks ago. We have not heard back yet - this would mean the cost just went up about $2M - the cost of a road extension over the property. When the developer decides to develop the MUD property, the requirement per ordinance would be to supply access that would support his development - probably a 2 lane residential street that would stop at the property line. The city can require enough easement for a 4 lane road but would have to bear the expense for that improvement including the cost of the bridge through the Stratus property. We'll see what happens. Staff and I met with a developer Monday that is working on a project off Bee Creek Road in our ETJ. Although we don't have a lot of control, they would like to be good neighbors. I expect more on this in the near future. Steve Jones and I attended a CAMPO Arterial Study Monday in Marble Falls. There was good discussion and we were able to have input on the needs of citizens and the city on traffic improvements for the area. Steve and I also plan to attend the CAMPO meeting in May to assure they add the 620 6 lane improvement plan ($80M) to the TIP (Transportation Improvement Plan) so funding is identified. Wednesday I attended and participated in the Election Committee - we verified that members running for PEC Directors Positions met the requirements and are qualified for those positions. Interesting day and I learned a lot about the process. Thursday the by-weekly meeting of the Police Facility group took place. Lots of moving pieces and the project is going well. I intend to take pictures weekly to document the build. Double click to see a larger image. Friday, Steve and I attended a deposition for a suit concerning the Cherry Knoll lawsuit. This is about a portion of land the city condemned and eventually purchased for the Flint Rock Road improvement project. Everyone was happy at the time this was done and all parties signed a contract to that affect along with the agreement never to sue. They sued. I think the case is going well. I have had several questions on what happens if a sitting council member is elected to mayor - how does that vacancy filled. It is part of the Charter, section 3.09.
election date to fill the vacancy for the unexpired term only. Any term filled by election shall count as a full term for the successful candidate." Although it has been alluded to that this was changed by a candidate, this is the same as it has been for many years. None of the charter language changed regarding this or the appointment of committee members - we did codify the process that has been followed for many years. The LCC (Lakeway Civic Corporation) will sponsor a "Meet the Candidate" forum next Thursday April 12 at 7:00 p.m. at the Activity Center. The event will be live streamed by the city and should be able to be viewed on line if you are unable to attend. Here is a link to that video. LPD Officers conducted 154 traffic stops, responded to 20 alarm calls, responded to 22 animal calls, responded to 5 collisions, answered 28 suspicious circumstances calls, completed 3 mental health calls, and handled 107 other types of calls for service for a total of 349. Routine traffic stops resulted in the following charges; Out of Jurisdiction Warrant X 1, and Possession of Drug Paraphernalia X 1. Officers were dispatched to a Sailmaster Street address in reference to a suspicious circumstances call. Upon arrival, officers were advised of subjects on the greenbelt possibly smoking marijuana. Officers found five subjects on the greenbelt. Officers issued citations for possession of drug paraphernalia to three of the individuals. Officers found a vehicle parked at the rear of the Oaks Shopping Center and observed that the vehicle was occupied. After investigation officers determined that one person inside the vehicle was in possession of drug paraphernalia. The subject was issued a citation to appear in Lakeway Municipal Court. Detectives were called out to assist patrol officers and the FBI in reference to a Federal Search Warrant execution in the 200 block of Canyon Turn Trail. This case remains an active investigation. Earlier this week, we have responded to and investigated 14 vehicle burglaries and 4 motor vehicle thefts in the City of Lakeway. All the incidents involved unlocked vehicles including ignition keys left inside unsecured vehicles. One of the vehicles that were stolen had a loaded weapon inside it. The incidents have been concentrated mainly in the Ridge at Alta Vista, Tuscan Village, and Canyon Ridge/Highland Village subdivisions. On Wednesday night, our Patrol Officers stopped a vehicle on Lakeway Blvd for speeding around 230am. Before the officer could make contact with the driver, the vehicle sped away into a nearby parking lot. The driver and occupants then fled from the vehicle into a nearby wooded area. With the assistance of Texas DPS Air Support, LPD officers were able to locate and apprehend all three suspects. It was later discovered the vehicle they were operating had been stolen from a residence in Lakeway a few hours earlier. One suspect, who resides in Austin, was charged with Unauthorized Use of a Motor Vehicle (Felony) and Evading Arrest (Felony), while the two passengers (juveniles) were charged with Evading Arrest (Misdemeanor). We are currently still working on this case. If you have any home security footage that may be helpful to us, please call our administrative line 512-314-7590 and speak to a detective. 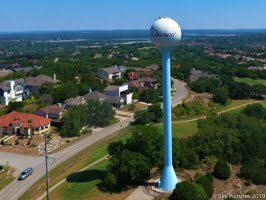 As always, Lakeway is a beautiful place to live, work and visit. Help us keep it safe by calling if you see something that doesn’t look normal call us. And most importantly LOCK you cars, TAKE your valuables inside (guns, computers, and purses) and LOCK your homes. Don’t make it easy for the criminals. Lakeway Police Foundation is hosting a BINGO night Friday night at the Activity Center. The events starts at 630pm! We hope you can stop by for a few games of BINGO! That's it for today! If you would like to be added (or removed) from my email list, send a note to lakeway@bain.us and I'll get it done. I'm been asked to continue the blog after my mayoral term is over - I'm currently looking at the feasibility of that. I have also received an unsigned letter about one of the mayoral candidates that makes some unflatering comments. I am investigating those comments. More on that soon.